Lil' Bits "The Coastal" is full of more unique elements, wordart, and wordtags that have already been completed for you. Kind of like showing up to the beach and some else has packed the lunch!! These digital elements are NOT included in the FQB "The Coastal" Collection so don't pass these by! 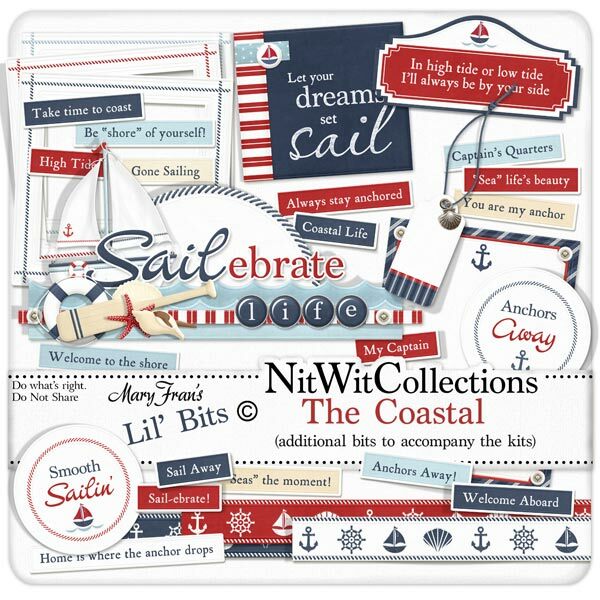 2 Circle elements - "Smooth Sailing" and "Anchors Away"
1 Journal pad - please keep away from water! 1 Word art - "Let your dreams...."
1 Word art - "In high tide or low...."
1 Word art - "Sailebrate Life"